Gateway Healthcare is Rhode Island’s largest nonprofit behavioral health organization providing treatment, intervention and prevention services to individuals in our community. Our mission is: Delivering health with care. It is reflected throughout the organization and drives every element of our day-to-day work. Gateway’s roots were planted during the 1960s revolution in mental health care. During that decade, with the passage of the Community Mental Health Center Act of 1963, addiction and mental health treatment philosophy underwent a radical change as emphasis on large hospitals and public asylums fell from favor, and Rhode Island became a leader in the deinstitutionalization movement. Treatment shifted from large, inpatient facilities to community treatment centers. Specifically, in Rhode Island, eight community centers were spawned from what had been local, nonprofit treatment programs. Gateway’s original mental health organizations – Community Counseling Center and Mental Health Services – were an integral part of that original community programming. In the 1980s and '90s managed care changed the face of health care again. Managed care brought confusing and contradictory regulations, funding cuts, increased government regulation and accreditation organizations. Treatment centers were also faced with creating or expanding substance abuse services as insurers and government agencies began to demand more programs for the dually diagnosed. To survive, it became essential for behavioral health organizations to respond by developing new services and revenue streams to meet demand. Gateway’s formal network was born when like-minded organizations with a common vision came together to respond to managed-care challenges. The leaders of several community mental health centers saw the need for more sophisticated administration and by the early 1990s began discussing the need for a regional network. By 1995, the boards of Community Counseling Center and Mental Health Services agreed to form Gateway Healthcare, Inc. to undertake administrative duties and enable them to once again focus on client care. Gateway became the corporate parent and assumed responsibility for general administration, human resources, quality management, performance and outcomes evaluation, financial administration, property management, fundraising and business development. This network model enabled Gateway to respond to community need by bringing additional agencies into the fold. In 1996, Rhode Island Youth Guidance Center, Inc. and Tri-Hab, Inc. joined the Gateway network to respond to the need for more youth-oriented counseling and substance abuse services. Each agency shared a mutual commitment to the Gateway mission, while maintaining its own identity and board of directors. In July of 2005, all of Gateway’s member agencies merged under the Gateway organization to achieve further clinical and administrative efficiencies. Board members from each agency were chosen to serve on the Gateway Board. The only change patients saw was a change in stationery– staff, programs and the dedication to quality behavioral care and substance abuse services remained the same. Since 2005, Gateway has added additional affiliates to its family of providers. Each was handpicked to complement Gateway’s array of services and/or reach to new customers and geographies. Gateway affiliates include FRIENDS WAY, The Autism Project, and Capital City Community Centers. 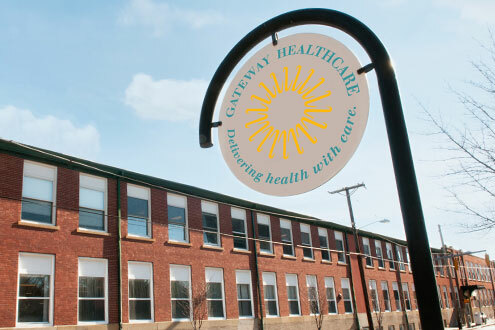 Gateway began a new chapter in its history when on July 1, 2013, Gateway officially affiliated with Lifespan, Rhode Island’s largest health care provider. Among Lifespan’s affiliates are Rhode Island Hospital and its Hasbro Children's Hospital, The Miriam Hospital, Bradley Hospital and Newport Hospital. Both regionally and nationally, Lifespan is well-regarded as a provider of innovative, high quality health care services and superior patient outcomes. Gateway’s scope of behavioral, substance abuse and social services complements Lifespan’s array of health care services. The affiliation of the two companies will lead to better integrated health care for hundreds of thousands of individuals in Southeastern New England. In an effort to fully leverage the benefits of Gateway’s affiliation with Lifespan and/or to gain state approval for the merger, several of Gateway’s affiliates which had previously operated as separate 501 (c) 3 non-profit entities within the company’s network, were officially merged into Gateway. These include New Hope for Families, Lighthouse for Youth, Family Service Society of Pawtucket, South Shore Center and Caritas Inc. The services provided by these legacy organizations will continue to be provided by Gateway. Today, Gateway and its affiliates employ more than 600 staff members including psychiatrists, psychologists, clinical specialists and other paraprofessionals. We reach more than 25,000 Rhode Islanders each year through residential, outpatient and community-based programs and stand alongside our affiliates in a mutual effort to address creative solutions for community care. This impressive continuum places Gateway at the forefront in assisting individuals in the community in a myriad of ways.